Across the lake, onto a bus, and into the mountain beside the lake. 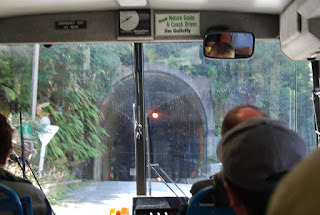 Two kilometers down a tunnel hewn into the rock, and you have arrived at this huge hydro power station. The underground turbine room... it all happens here. 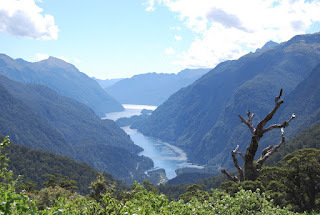 Doubtful Sound - where the water finally exits via two long tunnels into the sound and then the sea. More info? 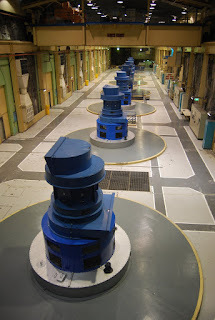 Look at http://www.meridianenergy.co.nz/AboutUs/PowerStations/ under Manipuri Power Station for some more information.